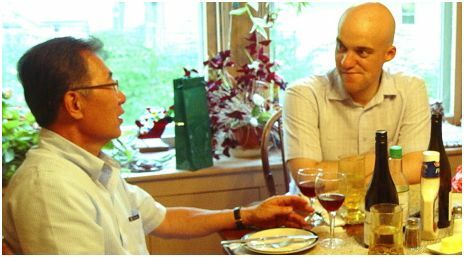 The following post in the Integral Fast Reactor Facts and Discussion series centres around two important diagrams prepared by Dr Yoon I. Chang — Distinguished Fellow at Argonne National Laboratories, a key figure in the development of the IFR between 1984 and 1994, and founding member of the Science Council for Global Initiatives. These allow one to easily — visually — see the difference between the uranium fuel cycle of today’s Gen II and Gen III light water reactors, and the alternative mass flow represented by the IFR. 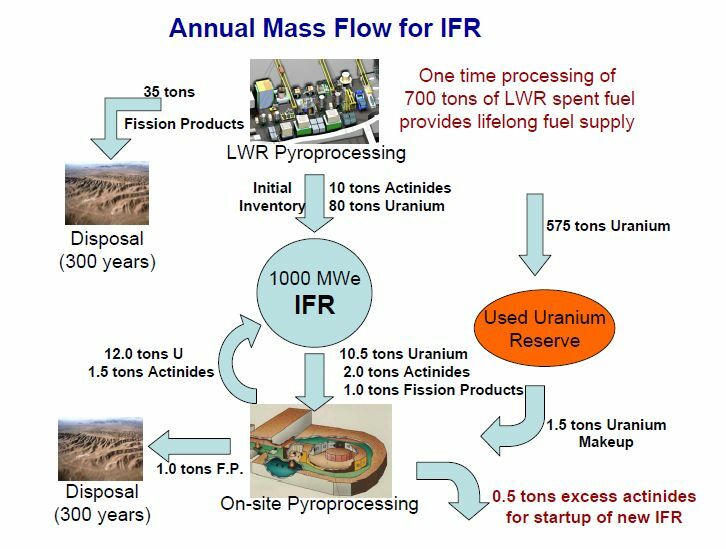 In the previous IFR FaD post, I discussed the amount of uranium fuel an IFR consumes (i.e., 1 tonne of natural or depleted uranium per gigawatt year, which is roughly 160 times more efficient in its use of uranium than a Generation III light water reactor). For another technical explanation, see here. To run a 1 GWe reactor for 1 year, about 170 tons of uranium ore is required. After enrichment of U-235 to 3.5 – 5%, this yields about 20 tonnes of material suitable for manufacture into uranium oxide fuel pellets (at ~50,000 MWd/t burnup). The rest is discarded as ‘depleted uranium’, which still contains about 0.25% U-235. After a year of operation, the following ‘waste’ results: 18.73 t of uranium (mostly U-238), 1 t of fission products (the atomic shards left over after heavy fissile isotopes are split), 0.25 t of plutonium (i.e., 250 kg, which has been bred in the reactor as a result of U-238 absorbing a neutron and then undergoing a couple of beta decays) and 0.02 t of minor actinides (mostly americium and curium). This ‘spent fuel’ can be either secured for eventual storage in a deep geological respository (hint: bad idea), or reprocessed to recover the Pu for further fissioning. The result of this type of reprocessing, adopted by the French, is that instead of getting six-tenths of 1 per cent of the energy out of mined uranium, we get eight-tenths, with no significant reduction in waste life. Only one or two passes are possible. Wow… excuse me if I’m not particularly impressed (it’s also an expensive process and rings proliferation alarm bells for some folks). First, note that no mining is required — this will be true for many centuries, until all of the existing used fuel (left over from LWRs) and depleted uranium that we have stockpiled is consumed, to make a lot of electricity. First, 700 tons of LWR spent fuel must be reprocessed to extract ~10 tonnes of fissile actinides (mostly Pu, Am and Cm of various isotopes, and laced with some trace lanthanoids which keeps it ‘hot’). More detail on this ‘fissile load’ will be given in future posts. This one-time reprocessing also results in 80 t of makeup uranium (40 t for the core, such that the resultant metal fuel rods are ~20 % fissile, and 40 t for the breeder blanket), with the remaining uranium being available for future inputs as this plant, and others, generates electricity, year in, year out. About 1.5 t per GW year will be needed if the IFR is running at a high fissile-fuel-breeding rate. Note: The blanket uranium loading will be zero for a burner configuration, and much larger amounts for maximum breeding. The amount used in the diagram is something in between. Each year, an average of 13.5 t of nuclear fuel will be removed from the reactor and run through the on-site pyroprocessing unit (details in later posts). This procedure allows separation of the fission products from the heavy metals (which are recycled back into the IFR). The F.P. are encased in a highly durable, inert glass (or perhaps a synroc), and must be isolated for 300 to 500 years to allow for 10+ half-lives of Sr-90 and Cs-137. No long-term (multi-millennial) geological disposal is required. As a high priority, Tom Blees, Yoon Chang and others are now working towards getting the first LWR spent fuel recycling plant built in the US. Tom discussed this initiative during his recent seminar at ANSTO. The prospects are looking bright. And what of the ‘excess actinides for startup of new IFR‘? This is a very important point, and will be the topic of the next IFR FaD post. This, in turn, will lead naturally into an exploration of the feasible fuel breeding and roll out rates for IFR power plant deployment over the coming decades. A great post. Very valuable. Perhaps it would be nice to show the existing stocks of fissile weapons-grade HEU and Pu entering into the flow sheet too, showing how these materials can be used up as startup fissile charges for IFRs. It would also be a little better to clarify that the depleted uranium stockpile is ideal fuel to put into IFRs, it doesn’t just have to be the uranium extracted from used LWR fuel. Weapons-stockpile material, depleted uranium and used LWR fuel are all large, significant stockpiles of valuable nuclear fuel. Thirdly, it is useful to clearly point out that there isn’t really anything wrong with building more LWRs today – LWRs aren’t really wasting anything, since their used fuel and depleted uranium is stored perfectly safely awaiting future use. We can keep using LWRs for quite some time and take the fuel for further efficient use in IFRs tomorrow. There’s nothing really unsustainable about LWRs for many, many decades to come – unless we do something stupid like burying those vast stockpiles of useful fuel under a mountain where they cannot easily be retrieved. That should say 170 tons of natural uranium – since the ore is not 100% uranium, the mass of ore mined is significantly larger. “~10 tonnes of fissile actinides (mostly Pu, Am and Cm of various isotopes, and laced with some trace lanthanoids which keeps it ‘hot’). The lanthanoids, with the exception of Pm, aren’t radioactive. Are we talking lanthanoid fission product radionuclides? Or should that say “laced with some trace actinoids”? The actinoid mixture of Pu, Am, Cm etc. is quite hot by itself, making it extremely implausible that this fissile startup “kindling” for new IFRs could be stolen and diverted for proliferation while it is being moved to the new reactor, as some opponents of nuclear energy may suggest. … an expensive process and rings proliferation alarm bells for some folks). For those folks, no nuclear reactor ever leaves those bells quiet, unless it is one that obviously has no significant power-production potential, like the gas-graphite one the North Koreans were constructing in the early 90s. It should be recalled that enrichment-free, single-pass use of mined uranium is not an expensive process. Can someone tell me the elemental composition of the fission products? Don’t know how long after the 1 percent burnup that is. I think it makes sense to build an IFR next to a Gen III LWR from the point of view of security, supply lines and access to cooling water. However the above diagrams suggest similar output units will never be able to satisfactorily ‘piggyback’ in mass balance terms. If the IFR was built a decade after the LWR only a fraction of the initial charge could be accumulated onsite. When both units are running side by side the LWR will produce more used uranium than the IFR needs for makeup. Despite this fact (if I have it right) I still think that Gen IIIs should be on large acreage greenfield sites, not former coal fired power stations. If an established LWR has a clean, green and secure look then building an IFR alongside would an easier PR sell. Graham #46702: Quite — that’s one of the sticking points with getting pyro off the ground at present — once-through is cheap, provided you don’t need to actually complete the repositories. Luke #46693: Thanks for those suggestions for improvements to the figures — I’ll pass them on to Yoon. Of course I agree with you that LWRs have many advantages and we should be building those now. The purpose of the IFR FaD series is to show those who have been anti-nuclear for various reasons that the ‘intractable’ problems they thought existed with nuclear power, don’t. I was referring to F.P. lanthanoids, yes. They are in trace amounts (see Graham’s later comment) but are an important radioactive ‘spike’. I am probably going to be well-hated for saying this, (not that I’ll loose any sleep…) but at this point I think talk of building any Gen IV NPPs is terribly premature. There are several reasons for this, not the least of which is that there is no glaring economic need for them at the moment. Establishing nuclear energy in new markets, and getting it moving again in existing ones, must be the top priority, and this is not going to be possible with designs that will not get the full support of regulators and investors. It’s a shame, but this is the way it is, we cannot hope to erase forty years of misconceptions and concerns in the time available. Despite growing support for the nuclear option, it is still vulnerable, and trying for too much, too soon, could prove to be a major tactical error. The currently available products, are proven performers, the supply of uranium is considerable, and used fuel can be safely stored for decades, and still be just as valuable as feedstock for reprocessing or direct use in advanced reactors. I see a real danger in overreaching, and the possibility of dividing support within the sector just as we are finally making progress in selling nuclear to the public. We should keep our eyes on the ground and work towards more manageable goals first. I think the absolute opposite is true. Gen 3 nukes are too expensive and too tarnished to be built. They will never get support from investors without sovereign gaurantee. If Govt is going to support the industry I’d rather they support Gen 4 than the highly inefficient Gen 3. This is mainly for the US. DV82XL is correct…and wrong. I don’t think they are mutually exclusive in terms of ‘marketing’ they are quite inclusive as they represent next evolutionary jumps in the technology. I have argued, and will do so again, as a LFTR advocate in fact, that we rise and fall with Gen III. DV82XL is correct that the public IS accepting us…it is LESS tarnished than in the past but we need a complete and full success of this new build we are seeing in Asia and some other places OR the public will never buy Gen IV, be it LFTR or IFR. Part part of winning these arguments IS the relationship between Gen III and it’s ‘success’ and convincing the public that we can see the future, so to speak, which means WE plan for the future, out 50 years, out a 100 years, and that is a massive deployment of Gen III with these reactors phased out as newer Gen IV reactors come on line. IMO, this is the only way to market any atomic fission for the future. I might add that the next 3 years as dozens of these reactors come on line, will be a key test in China and Russia and India. TMI and Chernobyl both occurred within about a year of these reactors going online. We need to keep watching…a lot, as these country launch very new, very inexperienced operations. It’s both good and a little frightening. Also…tritium is become the latest bugaboo for those in the US with the launching of a huge campaign against Vermont Yankee NPP. I suspect they will ‘win’ and force Vermonters to use more fossil. But the tritium scare is growing and seems to be working, at least locally. Watch for more of this. @evnow – What makes you think that the regulators are going to be soft on Gen IV, or that investors will buy into this technology without any evidence that these designs will work? And where do you get the idea that Gen III reactors are too expensive and too tarnished to be built? These NPPs are some of the most effective and productive in the world fleet at this time. I think you need to review the facts again. Look, the big reactor companies have invested heavily into Gen III+ and they are not going to scrap these designs ether, and they are`going to make a lot of noise if they are hung out to dry. Wistful thinking will not make Gen IV happen before its time. DW, I agree completely with what you say regarding the need to promote both Gen III+ and its successor(s). Arguments are all about timing of update, but this intersects considerably with public opinion, especially in the West. I’ll have more to say on this in later IFR FaD posts. I’d like to point out a couple of factors that may help to explain at least some of our present-day difficulties. 1) It is wrong to look for a ‘renaissance’ in a technology that never died. The US nuclear industry is doing rather well, thank you very much. Capacity factors are up, earnings are great, few negative happenings are evident since Chernobyl in 1986, etc. The people who are looking for A rebirth are those who participated in the original development of the industry. They think of the industry as being the R&D, design, development, construction of fancy new plants. SORRY GUYS, THOSE DAYS ARE OVER! 2) Today, the job is to build and operate hundreds of established nuclear plant design to forestall the collapse of the societies in which we live caused by the lack of cheap oil and natural gas. We don’t need new designs. Don’t like the designs we have in hand today?? THAT’S TOUGH BUDDY, YOU SHOULD HAVE THOUGHT OF THAT 30 YEARS AGO! 3) Can’t get the building jobs going? Don’t blame the machines — instead, look to the politics of our country. We’re living in a dream world, and one that will surely come to an end soon. Time to wake up and get moving, before the energetic people in the rest of the world take the lead permanently. THERE’S NOTHING TO FEAR BUT FEAR ITSELF. Dan is certainly NOT arguing against the need for IFRs (or LFTRs). He’s simply pointing out that the only nuclear technology ready to deploy, commercially and in large numbers, today, are thermal BWR, PWRs and CANDUs. His often stated view is that even if we imagine we’ll need Gen IV reactors for 30-50 years, we must re-start the RD&D on them NOW so that they are ready when their time comes. I happen to think that with a sufficiently urgent mandate, we can have Gen IV coming online in a big way within 15 years, but I don’t disagree at all with Dan’s first point. Thermal reactors are not our enemy, fossil fuels are! (Renewable toys are not worth mentioning in this serious context). Well that quote by Meneley is about the size of it, and just about where I stand on the issue. 15 years? Try 30 for Gen IV, other than a few full scale test-beds. The sunk costs in current designs, is going to be a major political factor, at least until they are recovered. Perhaps a useful approach would be to market current gen II and III /+ plants as an early component of an organically integrated suite of reactor designs of which gen IV plants are the logical end point, relying on curent gen plants for start charges as they are slowly phased in. Also, mini-nukes may be able to make headway on the gen IV front faster than would otherwise be the case. So at least we’re not talking about Gen II? (Didn’t see Finrod’s comment before posted mine). Yeah, according to DV82XL, the ACR-1000 is very much yet to be built. I’m very much with DV82XL (funny name) that AECL could have done better (I mean, theoretically, since, well, except for all those political and every-other reasons why it hasn’t), but I’m also with him in thinking that AECL is not going to find it easy to sell anything for a while. When your owner is very ambivalent about things nuclear, in a world that is very ambivalent about things nuclear, it makes things difficult, as sad as I believe that is. Maybe Gen II is all we should hope to get going at this point, which I believe even Rod Adams is thinking may be the case, despite his pointing to something better, even as the smallest step from Gen II. Lawrence, no, I think the breakthrough is likely to come with a single, highly successful Gen III+ design. For a while I thought it would be the ESBWR, but GEH have proven as dysfunctional as AECL in getting their product to market. You can also forget about the EPR — Areva are on a loser there too, as the UAE bidding process amply demonstrated. I now strongly suspect it’ll be the Westinghouse AP-1000 that’ll change the game (and Chinese variants thereof, such as uprated versions of the CPR-1000), and perhaps also the Koren APR-1400. That’s why it’s the only Gen III+ reactor I bother talking seriously about right now (e.g. as a comparator in the TCASE posts). I never thought the BWR was any good. We’ll be lucky if we can afford to buy the expertise back when the time comes. Barry, World Generation III reactor production appears to be rapidly ramping up. World nuclear generation capacity may double as soon as 2020. By 2050 if not sooner, we will begin to need breeder technology in order to keep up with world energy demand. The question is which Generation IV technology will have the advantage. I have argued that LFTRs will, because they are far more scaleable, can be manufactured more rapidly, are more flexible, and will be perceived as safer, and less of a proliferation danger. (I am not arguing the last two are the case, I am now satisfied of IFR safety, and proliferation is an anti-nuclear canard,.) Claims of high IFR breeding ratios are not confirmed from IFR design plans. The only IFR designs I was able to locate on the Information Bridge, had a maximum breeding ration of 1 to 1.07, the same as 1970’s ORNL MSBR designs. Statements by IFR advocates indicate no higher breeding ration can be expected in the near term. Since as many as 12 LFTRs of equivalent power output can be started for every IFR, if the IFR has no breeding ratio improvement, it cannot be seen as the most likely LWR replacement. Never-the-less world wide we will see LMFBRs. I believe that the Indians are considering plans to build as many as 300 500 MW LMFBRs, and I fully expect Russia, China and Japan to enter the LMFBR race. However, it turns out that the reactor grade plutonium from spent light water reactor fuel becomes a chocking point for Generation IV reactors. The world supply of unused reactor fuel now is sufficient to now start a very large number of LFTRs, but not of IFRs. Given that current IFRs designs have no breeding advantage over the LFTR, allotment of RGP to start LFTRs offers some enormous scale advantages. Given that LFTRs are likely to cost less to build, can be built more rapidly, and are likely to have less political and public opposition, it seems to me that IFR advocates are backing the wrong horse in the Generation IV breeder race. according to what I read in the wikipedia, it costs $240 to buy a kg of natural uranium extracted from seawater. Why would we need to go to Gen4 by 2050? We could power the earth for ages on CANDUs, AECL willing. I’m all for the extra efficiency of Gen4, and I most like the sound of the LFTR. But last night I listened to the Rod Adams podcast 121 and it struck me, did you really understand what Rod was saying btw minutes 29 and 39? Charles, I’ll discuss breeding rates and fissile requires in future IFR FaD posts — that will be the time to debate those issues! to be allowed to build ANY nuke plant. Then , by the magic of capitalism and it’s market mechanism whatever company can deliver on budget and on time will get the nod. As recently seen with the UAE decision. I am with DV8 , simple, proven, bwr and pwr plants would win hands down and receive investors money. PS : What do you guys think of the Babcock & wilcox modular reactor design? Mostly what I was saying, I suppose in an oblique way, is, despite my wish to develop the LFTR first, perhaps we should develop the most likely thing first. Right now, I’m thinking CANDUs for everyone. Rod would say (I guess), Gen II+ (or is it Gen II-, if it’s smaller). Or what do you call the Shippingport breeder? It’s a variant of the proven LWR (ok a CANDU is heavy water). What do we go for to get things off the ground fastest? As I said earlier, I honestly think the fastest thing off the ground now is the AP1000, bar none. But we’ll need to wait for 2013-2015 results coming in from China to see the real investment opportunities become starkly apparent. Until then, I fear it will be slow, slow, slow in places like the US and Canada. Unless the loan guarantees help break the risk management deadlocks. If I understand Charles request ref IFR breeding ratios, all he wants is a hard reference to actual demonstrated breeding ratios. No discussion is required. Is it? Since the world thinks the loan guarantees mean actual loans, then we’ll wait a long time for people to like them. Barry, First current Indian discussions seem to suggest that they are contemplating building as many as 160 GWs of LMFBRs by 2050. Thy plan to feed U-233 and RG to their AHWRs. So for India at least, Generation IV will not come in 2011, not in the distant future. Current Indian plans call for 5 commercial fast breeders by 2020. We do not know the direction of Chinese plans, but they are aware of the Indian plan to breed Thorium in fast reactors, and the Chinese have a lot of thorium already out of the ground, in rare earth mining tailings. My argument for the LFTR in the United States, is its potential to lower the cost of electricity vis-à-vis to the cost LWRs, wind and solar. IFRs too for that matter. That coupled with the scaleability and ease of deployment of the LFTR, would greatly increase the economic competitiveness of the United States with China and India after 2025. If you intend to discuss breeding ratios, you should refer to the documents I have reviewed on Nuclear Green, and other documents posted on the the Information Bridge, and not off the top of the head estimates by George Stanford, and Y.I. Chang. As long as you stick to well attested facts, I will not not object, but theoretical claims, that do not reflect the IFR project direction, are not credible. 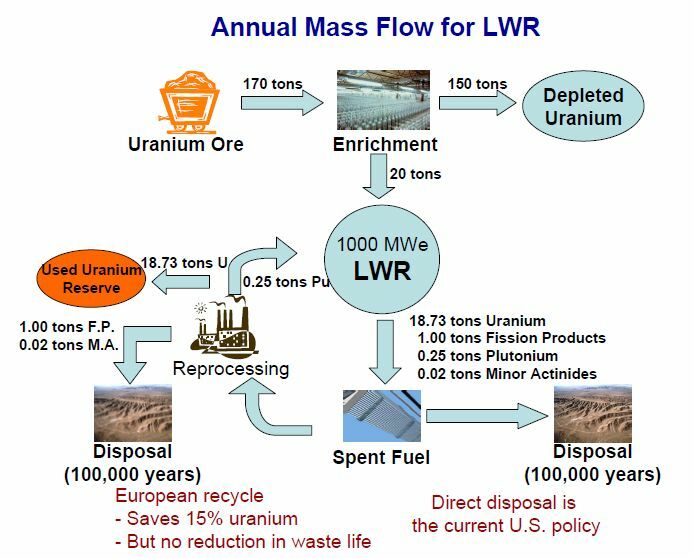 Lawrence, LWRs might be be viable in 2050, with sea water uranium extraction, but this still does not solve their cost and nuclear waste problems. Clearly we need breeders to make the best use of nuclear fuels, and MSR technology potentially has a big cost advantage. Factory build L/WRs will probably have a lesser cost advantage.and can be deployed more rapidly than conventional LWRs. As I said, I’ll discuss breeding rates, and what is credible, in a future post. We will not know the ‘cost advantage’ of any of the Gen IV designs, be it an IFR or a LFTR or something else such as a VHTR, until some commercial units are built. We can speculate, but we do not know. As such, the priority is clearly to get some built, sooner rather than later. Otherwise, it’ll always be a catch-22, and with the result that the ‘better the devil you know’ argument wins (in financial risk management terms). I would like to see a seperate discussion on IFR/LFTR breeding ratios later in another contribution here. i would hope everyone reviews what Barry has written here and the link to nuclear green Charles provided. We can have a comradely debate on this. The LWRs will outlast us all. There is plenty of uranium out there, not even from sea water or coal ash. Reprocessing is going to slowly build and as Charles points out the Russians and the Asians ARE building breeders. 1. Smaller size (almost all the newer small reactors are LWRs from what I know) generally. 3. Hotter temps/better process fuel. 6. less fuel in, less waste out. 7. Lower radioactivity of waste out. 8. Price per MW lower (both installation and operating). 9. Modular construction and mass production/line production. This will allow for an *evolution* toward Gen IV even it takes another 30 years to get one off the assembly line. I suppose one could make an argument to classify the Enhanced CANDU 6 and the CANDU 9 as Gen III designs, if the ACR 1000 is considered a Gen III+. Keep in mind though, that AECL isn’t the only player in the heavy water reactor game any more. The Nuclear Power Corporation of India Limited (NPCIL) is offering units in the 250MWe range for export, that may look very attractive to less developed nations. Consider too that NPCIL has the most advanced plans to develop thorium as a fuel resource. Between India and China, there is a real possibility that pacing in nuclear technology may well be in the hands of the East, who have the market to create the volume of sales to determine the direction the industry will be going in. How much do the Indians want for one? could be paralysed by choice! We could be paralysed by choice! Better that than being paralysed by lack of it. I suspect that constrained regulatory/certification resources shall be of considerable ‘help’ in winnowing our choices for some time to come. I have just re-read the Generation IV Forum Roadmap. I presume that the members of the Forum have some degree of expertise on the subject. They have chosen to concentrate on six of the currently most promising designs, of which five have closed fuel cycles (VHTR being the exception). All five score well on sustainability, safety and proliferation resistance. Four out of five are also rated as promising from the economic perspective. The MSR is highlighted as the technology approach least likely to produce cheap electricity. Liquid sodium cooled reactors are rated as being a decade ahead of the rest in terms of deployability. Given that the Forum is considering six designs, why are commentators on BNC discussing only two (possibly three if one includes lead cooled versions)? The IFR seems to be the design that has the potential to be deployed first in the Western world and the sooner we have a commercial 4th Generation demonstrator the better (but only if one be deployed with no serious glitches). However, given all that has been written on the abundance of uranium and thorium, perhaps there is no urgency to deploy closed cycle reactors in the near term. Might it not be better to continue to fund R and D into all of the promising designs until one could be more certain as to which will prove superior in the end? The LFTR has several advocates here. Charles Barton, for example, suggests that it has many advantages over the IFR, including the fact that it will deliver cheaper power. Could he explain why he is apparently at odds with the Forum over the economic issue? As a layman, I’m not in a position to judge the relative merits of the apparently conflicting views. However, were I to be in a government advisory position, I would presumably adopt the Forum position and protect my backside, merely because it has apparently more authority. Perhaps Charles’ LFTR is not of a design type being considered in the Forum’s deliberations on MSRs. Surely pushing for further development of Gen II reactors (ie CANDUs) is a step in the wrong direction?! I realise we’ll need to build more conventional reactors before Gen IV can be scaled to an economic position and become widely established, but pushing for Gen II reactors could almost amount to a nuclear suicide in the public eye. The older designs have been modified to deal with most of their objections anyway, and what they are still bitching about can more easily explained away. The second reevaluation: occurred in the Discussion Forum of the Energy from Thorium web site, where some three to six hundred well informed individuals including a number of contributors to discussions on BraveNewClimate, have engaged in a wide ranging reevaluation of Molten Salt Reactor technology. At present that discussion covers 1622 separate topics, and contains as of this morning, 26155 separate comments. Many Forum participants are nuclear engineers, and scientists engaged in reactor related research, Others are practicing engineers and scientists, who are well informed on nuclear technology. Discussions on the Energy from Thorium Forum are founded on hundreds of research reports from ORNL MSR technology research between 1950 and the 1980’s. Per Peterson participates in the discussion. The discussions on the EfT forum have yielded the general conclusions that the use of Molten Salt technology in reactors, particularly the high temperature reactors and LFTRs would lower nuclear costs, and would in particular Molten Salt Technology reactors would cost less to build than IFRs.. Professor Peterson concurs in this conclusion. Douglas Wise may I have your permission to quote your Generation IV comment in a post on Nuclear Green? I greatly appreciate your prompt reply. Over time, I shall follow up on all the useful cites you have provided. Should you find it useful to do so, by all means quote from my Gen IV comment. I hate to rain on your parade , again, guys, but the people who really make the decisions , and hold the pursestrings, like Obama and/or congress or whatever is the equivalent anywere . They don’t read these blogs and as we have just witnessed again, standard pwr will get the ok to be built. Anyway as they say , “If it ain’t broke dont fix it” Or perhaps even suffering a recession ,no parlementary democracy is going to pony up any R&d money for your beloved gen IV . Perhaps a society like China will , that is more likely in any case. Uncle pete, I hate to rain on your parade, but at least one member of the President’s Blue Ribbon Commission on nuclear waste probably has read at least some of my blog posts and comments. You’re probably right Charles, and I am sure he is not the only one in the policy layer that at least keeps an eye on what is being written in places like this. However, these people are first and foremost political animals, or they wouldn’t be where they are, so I it would be a mistake to pin too much hope on their influence. I go on like a broken record I know, but the adoption and/or growth of nuclear energy is not a technical issue – it is purely a political one, and because of the obscene sums of money involved, will be played as hardball as it gets. Expecting a few well-placed voices of reason to have any real impact on the direction things go is a bit naïve. Reason had little to do with how things have gone for the past sixty years in nuclear energy policy, it’s not going to start now. Unless the pronuclear side gets a groundswell of popular support, it will be just as marginalized in these decisions as it has always been, and that, not arguing about what type of Gen IV design would be ideal, is where effort should be concentrated. Then your fate is going to be to join the other failed movements that were convinced that Revelation was just around the corner. History is littered with such, the most glaring example being those that are waiting for the Rapture to make the world right. Nuclear energy will not take its place in a world run by fossil-fuel interests, because someone in power notices some group of nerds circle-jerking over some advanced reactor design, particularly when it is blatantly obvious that few of them have any real background in science or engineering, and are engaged in flights-of-fancy debates on subjects they really know very little about. Real political change is hard, messy, and tiresome work, that needs commitment and a tough ego to carry out. If you want to see how it is done, just look at our opposition. How many pronuclear supporters are there pamphleteering on the street, or on school campuses? How many letter writing campaigns have you seen to support nuclear energy. Vermont Yankee is going to be shut down because a HANDFUL OF LOUDMOUTHS, and little else, while the pronuclear movement is wringing its hands, and the one lone blogger on the issue has a Canadian as her most regular commenter. The worse thing is that without much effort on our part, nuclear energy is now looking better to the population than it has in the last thirty years, but the people are fickle, and it is not a given that things will stay this way, never mind improve. The antinuclear movement has been caught with its pants down, and were shocked that they could not simply drag the old shibboleths out for an airing, to make it go away. But don’t think they are not regrouping and aren’t capable of making thing hot again, because the do know the value of working the hustings, and the importance of managing public opinion. Look at thorium, here is a golden opportunity to pitch it as “Green Nuclear”, the press picked up on it almost by itself, but there is nobody following up, nobody recruiting those that are willing to force change. Instead the place that should serve as thorium’s central organ, is almost devoid of discussion or planning the steps needed to bring this design to the fore. Do the people that post there harbor a fantasy, that when the day comes, engineers are going to be searching through the archives looking for ideas from those that are writing there now, especially from the ones that seem to have no grasp of nuclear chemistry, or nucleonics? At least here on BNC there seems to be an understanding that the politics are the important thing right now , a perspective that is sadly lacking elsewhere in the pronuclear web. I stand corrected Doug Barton. Douglas? uncle pete, my mother was a Grant! Nitpick: The Chinese variants of the AP1000 are the CAP1400 and CAP1700. The Chinese are building, or planning to build, about 40 of them. Barry the Indians are very ambitious, and unlike the Chinese have fuel cycle goals, and a clear system to reach those goals. The Chinese, who are no more ambitious than the Indians, have not thought through what they are doing yet. The Chinese have, like the Indians, have plenty of thorium, have not yet developed plans to use it, as the Indians have. The Chinese seem to have adopted an if you build them, goals and plans will come, approach, but that gives them less direction. As a former anti-nuclear activist from the cold war era I have been following this debate for some time, with a very open mind, seeing what prospects there may be to develop a safer form of nuclear energy that poses less risks than does coal fired power generation. To that end I must congratulate Barry on his sustained education campaign on Gen 1V reactors, again keeping an open mind until such time as they may be worked up as a viable, working prospect. Has anyone got any background on this and how different would this technology be to the IFR technology that has been expounded through this blog site? Hi Chris, there’s been a bit of interest in this, maybe from the recent TED talk. Barry, DV82XL and Luke Weston have been discussing this design in response to EclipseNow’s query in another thread. I may as well throw my two bits in. Barry described it as a variant of the IFR that has been discussed here, but its a very different reactor concept. While its a liquid sodium cooled metal fueled fast reactor using the same uranium-plutonium fuel cycle, the organization of the nuclear reaction in the form of a wavefront propagating through a slug of fuel is very different to a homogeneously burning core. There’s a presentation from Terrapower here that gives a bit more of an explanation. They envisage a core composed of many rods in a toroidal configuration, rather than a single slug. * How stable is the propagating wavefront? There are a variety of instabilities this sort of mechanism is prone to that could cause the wave to propagate unevenly (say, any density variations in the fuel rods, or phase separation of the fission products). * How do you control the reaction? Can you shut it down? Can you start it up again? * How do you sense the state of the burn in a rod, to control it? The Terrapower design has about a 20% burnup, according to their presentation. I think thats about the burnup achieved in the S-PRISM IFR design before the rods get removed for fuel recycling by pyroprocessing, about once a year. I guess in the Terrapower design you have to wait 60 years to do this. This looks like a tricky design, and they haven’t gone further than simulations so far. There’s a long road ahead. GRL Cowan, thank you for your response on the fission product composition, upthread. I asked the question partly out of simple curiousity, but also because I was interested in the claim others have made about the waste being a valuable material in itself. Certainly, there are some valuable materials there if they could be extracted. So I tried to find current commodity prices for the solid elements, to estimate the resource value of the waste. Warning: This is a very dodgy calculation! There aren’t really markets for the most valuable constituents, I don’t know which of these are radioactive and hence unusable, or, alternatively, more valuable for that, and the separation would no doubt be difficult and expensive, would the price of the rarest elements collapse with new supply, values are for the elements whereas their compounds are probably cheaper, etc. Anyway, for what its worth, the value of 1 ton of waste on the figures I could find is about US$3.5m. Half of that value is just in the technetium, which has no stable isotopes so does not occur on earth, and which ORNL is currently selling at $60/g. Next come caesium ($10/g), rubidium ($25/g) ruthenium ($5.90/g), and palladium ($15/g). That accounts for about 20% of the waste, and the rest of little value. What other ‘doubling times’ have you all found for breeding fuel? This following source comes from: “Fast Breeder Reactors”, Department of Physics & Astronomy, Georgia State University. Retrieved 16 October 2007. The time required for a breeder reactor to produce enough material to fuel a second reactor is called its doubling time, and present design plans target about ten years as a doubling time. A reactor could use the heat of the reaction to produce energy for 10 years, and at the end of that time have enough fuel to fuel another reactor for 10 years. Anyone got any confirmed, peer-reviewed higher values than that? Thanks Barry, that sounds great. The question of whether fuel even breeds in the first place is still coming up in some email lists. Seems unreal, but there seem to be some sneaky ways around the laws of physics if your name is ‘Dr’ something. (So source material linking to every peer-reviewed paper and case history on fuel breeding would be really helpful). It is time for Light Water Reactors to be phased out. America has enough experience with Fast Neutron Spectrum reactors to get seriously in the game of industrializing Gen IV technology. Consider the Experimental Breeder Reactor II, the IFR, and others. Pro fossil fuel lobbyists have strangled U.S. progress in Fast Reactors through political means; making insurance, licensing, and investment very difficult to obtain for new designs. They have managed to keep America saddled with a Gen III Light Water Reactor approach and technology that is now pushing 60 years old. Sticking with these legacy Gen III reactors means risking another Fukushima scale accident. Sticking with Light Water Reactors for another 10 to 30 years will insure the burning of fossil fuels for another several decades when compared to adoption of Fast Gen IV reactors. More Gen III reactor use means more mining and enriching of uranium, more stockpiling of LWR spent fuel and depleted uranium, and more continuous defueling and fueling of spent fuel rods. Further, because Gen III is much capable of having a meltdown accident than Gen IV, Gen III is more expensive to license and insure. Additionally, Gen IV has a cheap and abundant fuel supply, that being 770,000 tons of SNF and DU left over from Gen III plants, which simultaneously decreases the costly burden of disposing of SNF and DU. Unfortunately, Gen III reactors produce tons of nuclear waste that has to be expensively processed and stored. All of these issues increases the cost of Gen III nuclear, as they have for 60 years, creating an environment most beneficial to Big Fossil Fuels. Indeed, licensing hearings are being closed to the public on the question of weather or not the government should give Gen III nuclear plant operators another 60 year licensing of their 60 year old approach. This is a disaster. Many American companies, and many countries like France, Germany, India, Russia, China, and others are all investing in, testing, and manufacturing Gen IV Fast reactors and associated technology. General Atomics is building and marketing High Temp Helium Cooled Fast reactors. Toshiba’s 4S modular fast reactor is scheduled to be installed in Galena Alaska. Siemen’s fast reactor technology is being sold to China. Already having run two test fast reactors, China is planning to build 10 – 30 new fast reactors. Russia has had experience with fast reactors since the dawn of the cold war. Their Alpha class attack subs used sodium cooled fast reactors. India’s three step nuclear energy employs the Thorium fuel cycle in India’s fast reactor nuclear energy program. In the 1970’s America was about to replace its Gen III reactor plants with Gen IV designs. However, Three Mile Island led to the shutdown of our ongoing research fast reactor tests, and tabled the whole idea o moving to Gen IV. A failure of Gen III led to the abandoning of Gen IV, which ironically meant that America would continue using Gen III for another 30 years! Big Fossil Fuels benefit.